Papua New Guinea’s proposed Sovereign Wealth Fund was intended to stabilise the kina and secure assets for the future. But, as Paul Barker from the Institute of National Affairs argues, the government’s borrowing plan for Oil Search shares may jeopardise the fund’s effectiveness. The proposed Sovereign Wealth Fund (SWF) is somewhat jokingly referred to by some as the Sovereign Wealth Vacuum, as we await the government to release its revised legislation setting up the fund. The original idea was to put income from resource projects into the fund (held largely in safe offshore securities) and use those investments to stabilise the currency and provide some core development expenditure, whilst providing confidence for investors etc in PNG’s economic management. There was only one loan and that is UBS, and IPIC deal was not a loan. Papua New Guinea Government has sold our Oil Search shares to IPIC to raise $1.7b to fund our equity (19.6%) in the PNG LNG Project. At the time Oil Search shares were only worth $5 and not worth the $1.7b we needed. So we sold them under a special share sale agreement on its future value being $8.55. What believed the share price will be worth upon completion of the LNG Project in Mar 2014. To get IPIC to agree to this deal certain securities (collateral) were put in place IPBC SOE's to underwrite the difference between what the shares were worth at the time $5 and future prices of $8.55. The difference we still owed on the sale. This difference was executed under an exchangeable bond arrangement or asset swap that IPIC held on and PNG Govt would be required to pay interest on until the sale agreement expired in March 2014. 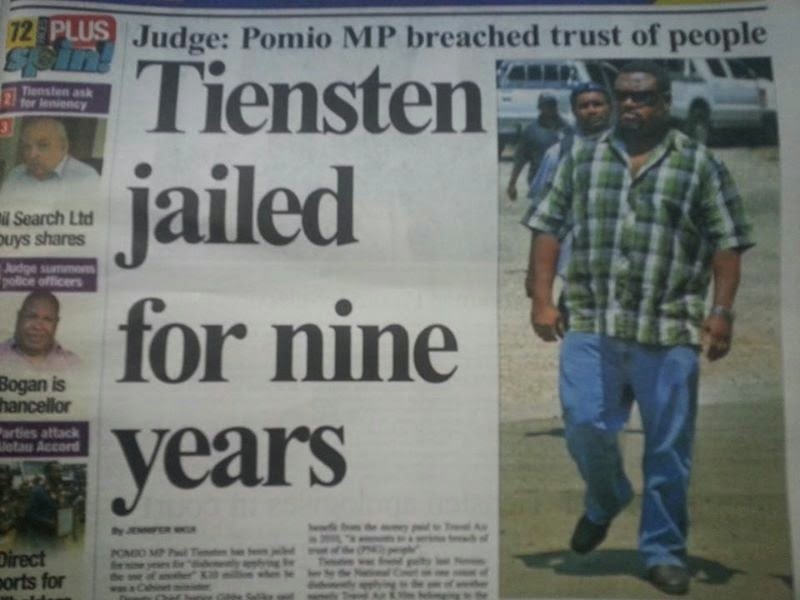 Mr Paul Tiensten, Member for Pomio and Former Minister for National Planning was today sentenced to nine (9) years imprisonment with hard labour. Four years of those will be deducted upon him repaying to the State the K10million that was paid to Travel Air under his direction. If he fails, he will serve the full 9 years. The sentence is 1 year short of the maximum penalty of 10 years for misappropriation cases under Section 383A of the Criminal Code Act. Has was taken to Bomana Correctional Facility immediately after the sentencing. Important features to note from this decision are that Mr Tiensten is going to jail for making a footnote on a project proposal that compelled the officers of National Planning to bypass the lawful processes and procedures in making that payment. Also, Mr Teinsten did not personally benefit from the proceeds directly but directed the funds to be paid for the use of Travel Air. The Court placed consideration of the breach of the trust placed on him and the prevalence of the offence in the society. Note further that though Parliament has recently amended the sentencing range for fraud of K10m plus to be up to 50 years, this case was instituted prior to the amended law hence does not have retrospective effect. This is the first investigation that Task-Force Sweep conducted when it was established in August 2011. Though it took time before the final verdict on sentencing, justice has been finally served and we are satisfied. We respect the independence of the judiciary in disposing cases at its own pace and in this instance, we applaud the decision. 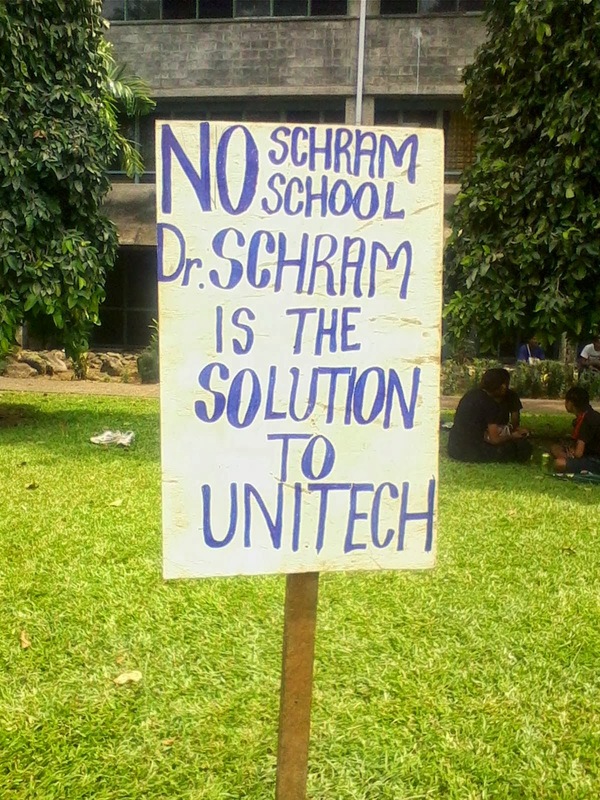 “We therefore find that in all circumstances Dr Schram was wrongfully terminated from employment as Vice Chancellor of the University of Technology”. The statement above represents the final conclusion of the Sevua report’s investigation of the former Unitech Council’s allegations against Dr Albert Schram. The 2012-2013 campaign against Dr Schram is repulsive to any academic community and would not be tolerated in any civil society. The government’s tendency to fabricate charges to deport unwanted non-citizens extends well beyond Dr Schram (also used with SDP media writer Mark Davies, the story reported earlier in PNGBlogs.com). 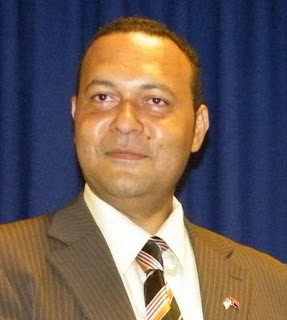 The PNG government’s current expulsion without a convincing reason of non-citizens who it views as being a threat violates the basic human rights guaranteed in the PNG constitution (which extends to non-citizens as well as citizens), is unbecoming of any nation that claims to be civilised, and casts a shadow of shame upon the country. Attorney General clears the bills. This stand was made by Prime Minister Hon. Peter O’Neill, when I consulted him as to whether the PNG government were to pay Paraka Lawyers when the Department of Finance was presented with a Paraka Lawyers invoice for K36,083,599.65 on October 4, 2012. I was clearly instructed by Prime Minister Hon. Peter O’Neill NOT to pay Paraka Lawyers invoices. The Attorney General also asked for further assessment on the same invoices. I placed an immediate stop to any /all payments of these invoices on the 31st of October, 2012. This superseded all earlier instructions and exchanges in regards to this claim by Paraka Lawyers. When I made reference to the Prime Minister Hon. Peter O’Neill on the earlier letter of January 2012, with regards to some lump sum payments that had already been approved and taken place in early January by then Treasurer and Finance Minister Polye. The Prime Minister mentioned to me, that he had no knowledge of this payment approval, and this had happened without his consent. 1. He refused to sign K3 billion loan sought by Prime Minister Peter O'Neil from UBS in Zurich. Thats why he was sacked as Minister for Treasury & Chairman of World Bank and IMF. 2. He was pressured by the Prime Minister to sign the letter directing Treasury to release warrant to pay Paul Paraka Lawyers a total of K71.8 million. The letter was NOT forged as Prime Minister stated but was actually signed. Hon Polye says he was told by Prime Minister to go ahead and process this multi million payment. 3. PNG right now has more than K8 billion in national debt. Its.more than the economic capacity to service this massive debt. 4. That Prime Minister has never consulted all coalition party leaders to get consensus to go ahead and secure K3 billion loan from UBS. This was all driven by one man, Prime Minister himself for his good. The above are comments by Hon Don Polye MP live on radio FM 100 now. 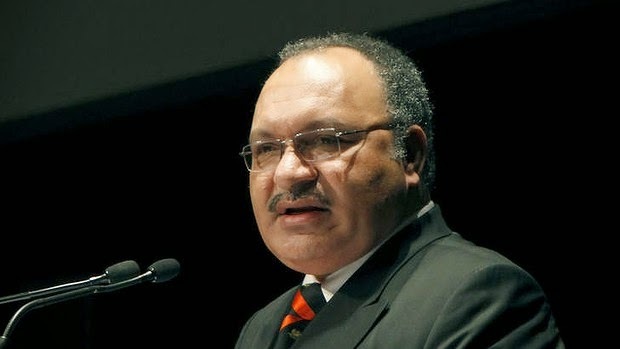 Congratulations to the Prime Minister of Papua New Guinea, Peter O’Neill, for spending the people’s money to cover his government’s corrupt practices, in relation to the Oil Search share purchase that he solely authorised, for his benefit and the benefit of Oil Search and NOT the people of Papua New Guinea (PNG). The Opposition has clearly been providing evidence of the corrupt practices of this Prime Minister over the last 6-12 months. The Opposition, as the alternative Government, has been working on the fact and the detail of what this Prime Minister is presenting, and demonstrating for the people, what is actually occurring rather than the lies directed upon us by O’Neill. 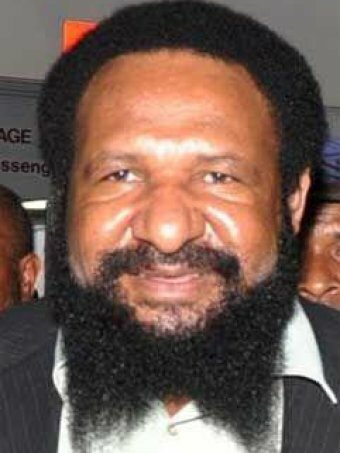 I think the average Papua New Guinean citizen know why Polye and Duma were sacked, in light of the pushing through of the UBS loan without any legislative checks and balances; thus, I urge them to join the Opposition ranks and by not doing so implies that O’Neill has got them in a blackmailing situation they cannot move from. Prime Minister, the Opposition provides the response to your article with facts. You can criticise the Opposition and accuse us of all sorts of nonsense. But the nation is listening to what we are raising as you are running the Government single-handedlyfor your own personal gain. Again I repeat, you are making decisions for your own personal gain and the questions we pose in this article, we already know the answers to. The Papua New Guinea’s economy changing project, the PNG LNG, operator ExxonMobil has reached another milestone yesterday when it tapped on its turbine at Hide Gas Conditioning Plant for testing and commissioning of key facilities and equipment. It marked another milestone after construction work at different sites of the project for more than 4 four years. The US$19 billion PNG LNG project is now more than 95% complete and remains on budget and on track to deliver its first cargoes in the second half of this year. To the eyes of many, especially local communities, employees and contractors it may mean something less when they saw the flames at the plant site but it is an achievement and a milestone reached by the world’s energy giant, ExxonMobil. The current gas flow is from Oil Search’s Kutubu Central Processing Facility (CPF) in Southern Highlands Province to HGCP in Hides. Kutubu gas project has been in operation for more than 20 years now. The project was initially constructed and operated by Chevron Niugini Limited in early 1990s and later PNG’s leading oil company, Oil Search Limited, took over more than 10 years ago. During the period of this gas project operation the companies extracted only oil. Exxon Mobil Corporation’s subsidiary Esso Highlands Limited and Oil Search agreed to pipe the unused gas into PNG LNG plant in Hides. So it has two different pipes running from Oil Search’s Kutubu Central Progressing Facility to Exxon’s Hides Gas Conditioning plant in Hides Hela Province. After a three week boycott, students at the university of technology have won a small but significant victory. The Justice Minister, Kerenga Kua, has given an undertaking that he and other government ministers will facilitate the return of Dr. Albert Schram to Papua New Guinea. "If you are in contact with Dr. Schram, please tell him to loge an application for a visa at the nearest PNG consulate." Mr. Kua, has also directed government lawyers to remain in Lae this weekend to prepare documents to set aside a court order preventing Dr. Schram from returning as Unitech Vice Chancellor. The compromise was reached after a four hour meeting between students and five ministers including Higher education Minister Delilah Gore, Police Minister, Robert Atiyafa and Trade Minister, Richard Maru. The Higher education Minister will also table the Sevua investigation at a Cabinet meeting on Wednesday and will travel with the same delegation to Lae on Thursday to make the announcement. Meanwhile, classes will remain suspended until Dr. Schram's return is finalized. SACKED Treasury Minister Don Polye has made it clear that THE Party will continue to maintain the coalition government solidarity. Mr Polye, flanked by Deputy Prime Minister Leo Dion, went to the Prime Minister's office in Parliament to present THE Party parliamentary wing resolution after their caucus meeting on Monday night. The meeting followed the Prime Minister's sacking of Mr Polye and his Southern region deputy leader Mark Maipakai. 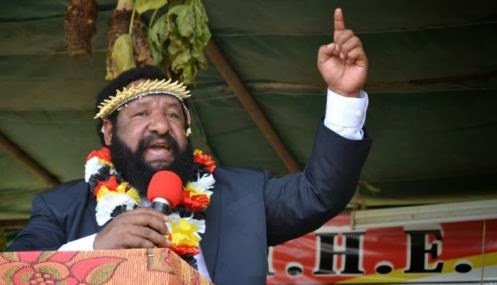 Mr Polye called a media conference with party members including Mr Dion, Mr Maipakai, Mendi MP De Kevanu, Lagaip-Porgera MP Nixon Mangape and Chuave MP Wera Mori to state that it was the prerogative of the Prime Minister to commission and decommission ministers, which his Party respects. March 21,2014, 08:26 am-Post Courier. The signing of the $A1.239 (K3 billion) loan to acquire 10.1 per cent shares in Oil Search is illegal, says the Peoples Power Movement activist Noel Anjo. The activist, in an interview yesterday, said the signing of the loan by the Prime Minister Peter O’Neill was illegal and a rushed decision. Mr Anjo alleged that the Prime Minister did not get the approval from the National Executive Council, in breach of Section 209 of the Constitution and also breach of the Fiscal Responsibility Act. "The Prime Minister also went against the State Solicitor’s advice therefore investigations need to be carried out and I am calling on the O’Neill-Dion Government to review its decision. "The document was signed not long after dismissing the former Treasurer Don Polye from office, it was done within 24 hours, why was there a rush? "Why did he rush to sign the loan, is it an emergency case or are we in a war? Rushing to sign a very important deed raises a lot of questions," he added. Wapenamanda District Administrator Anderson Piuk died in a nasty car accident in Chuave District of Simbu Proince last night, 19th March 2014, with two others believed to be his relatives. Names of the other 2 died in the accident are not known. Mr Piuk was appointed as district administrator last year and he has been working tirelessly under Rimbink Pato Administraion until his passing. 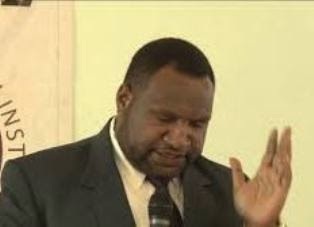 He is son of a very prominent leader and a Pastor Piuk Lasala from Laiagam District of Enga Enga Province who accepted Christian Apostolic Fellowship (CAF) into Papua New Guinea back in the 1980s. Mr Piuk Lasala was the President of the church since CAF's first establishment in Enga's Laiagam District until 2011 when he resigned. Anderson was brought up in a faithful christian family. He has participate faithfully in all church organised activities within the church and other denominational groups in the province. He was one of the executives members of Enga Tertiary Student Fellowship (TSCF) group when was he a manager of the Enga Vegetable Marketing around mid 2000. I'm not sure where he was working before being appointed Wapenamanda District Administrator. But hope he was holding a managerial or a key position before being appointed DA for the district last year. 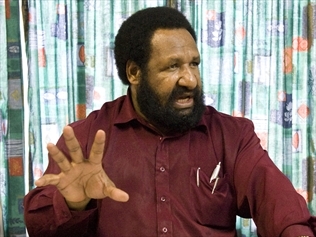 FORMER Treasury Minister Don Polye has finally broken his silence on why he refused to sign loan instruments of AUS$ 1.239 (K3 billion) loan to acquire 10.1 percent share in Oil Search. The Kandep MP said with the best business and commerce knowledge he had, his view was that the commercial viability of the purchase of Oil Search Ltd shares at $A8.20 is a bad decision. He said even if it is claimed to be a good investment there remains no credible information to substantiate the argument as no due diligence was done on the business transaction. 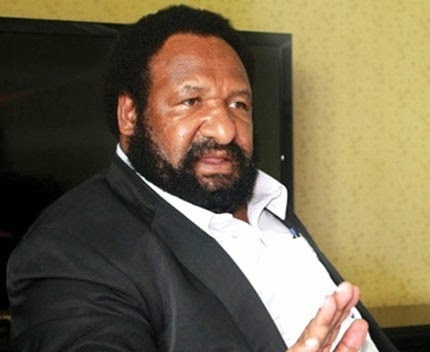 Mr Polye also called on Attorney-General Kerenga Kua to say whether he gave advice to the Government leading up to "various breaches of the laws" to secure the $A1.22 billion loan. "We have to borrow money if we do in such amounts have got to be spent on tangible benefits to the people of this nation, but not on some speculative markets like buying shares. "When I looked into this I as former treasurer, I simply could not sign a loan when I knew that those were the dynamics within which this loan will not be supported by any balance sheets, whether it be by SOEs (State-owned enterprises) or even by the State," he said. Prime Minister Peter O’Neill has admitted that Don Polye was removed as the Treasury Minister because he refused to accept the decision by the National Executive Council to borrow $ US 1.2 billion from the Swiss financial institution, UBS. He says the decision by the NEC is final and was based on independent official advice from all government officials and that could not be undermined by a prime minister, any minister or official. Mr O’Neill also clarified that Mr Polye could no longer hold the position as chairman of the IMF and World Bank. He said that position was given to Papua New Guinea and not to any one person and that the new treasury minister would take over the position. Meanwhile Mr O’Neill says a cabinet reshuffle will be done for the best interest of the country. “As I said in the recent past we’re not running a theme park where people go to have fun, we run a serious business, our first priority is stability, stability of government and stability of policies and any changes we make must enhance that. I think it is important for the country to have stability,” says the Prime Minister. He said that he held a meeting with both Don Polye and William Duma and told them frankly the PNC party would honor the Alotau Accord and that is THE party is entitled to have four ministries. “Whoever I give the ministries to is my prerogative. The law of Papua New Guinea gives me that and it will be based on performance, government stability and conduct of ministers. I will exercise it with due care and with a highest degree of responsibility so that it continues to build stability within the government,” says O’Neill. Leading anti-corruption activist, Noel Anjo Kolao (inserted) has advised that a public forum will be held this Thursday, March 20th, at Jack Pidik park from 10 am - 2 pm. "Don Polye is invited to explain and reveal to the nation why he refused to sign the loan and PM sacked him. PM in a news conference yesterday defended his decision to sack Polye and said the loan is the best deal. 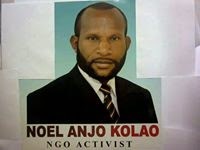 Polye will reveal the truth because PM is misleading the public", Noel Anjo Kolao asserted. 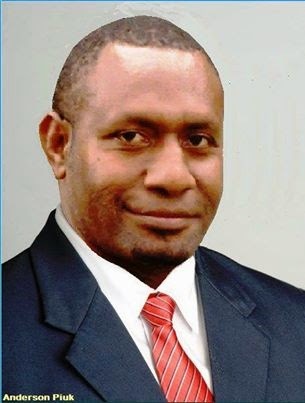 Should the sacked Treasurer take up the challenge to appear in person at Jack Pidik park on Thursday to publicly reveal the truth to the people of Papua New Guinea who are now faced with a massive National debt to repay, although the Prime Minister has since publicly stated, "The argument that it increases our debt level is simply nonsense"? 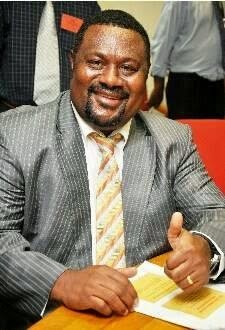 Should the sacked Treasurer in all good conscience continue to remain a part of a coalition Government - particularly if he knew that the massive K3 billion (up to Aud1.239 billion) loan deal to buy 149, 390, 244 Oil Search shares is unconstitutional and that is why he refused to sign the loan and was sacked? Treasury Minister Don Polye and ADB country director Marcelo Minc signed the agreements yesterday in Port Moresby. The second tranche of the Highlands Roads Improvement Programme will cost US$109 million. It will be carried out by the Works Department. The Civil Aviation Development Investment Programme (CADIP) costing US$130 million will be undertaken by the National Airports Corporation. “The road programme approved in 2008 is a US$750 million plan that aims to make transport more safe and accessible by connecting rural roads to main roads and making provision for public transport,” Minc said.